As the president of NCC Korea, JG Park declared all areas of NCC to be no-smoking areas, and asked all employees of NCC who smoked to quit smoking as soon as possible. NCC also started a series of symposia. 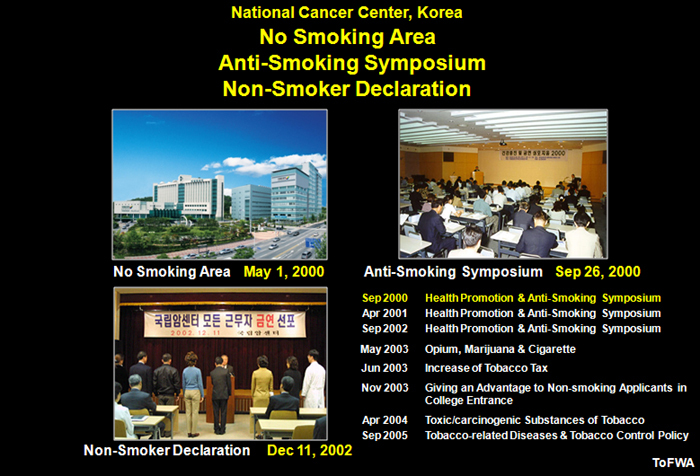 Within 2.5 years, all employees of the NCC had become non-smokers.